David Samson Unuanel has been appointed the new coach of Nigeria National League side, Osun United Football Club. Unuanel’s appointment was announced Monday afternoon after the Omoluabi Giants board approved his contract until the end of NNL 2018/2019 season. 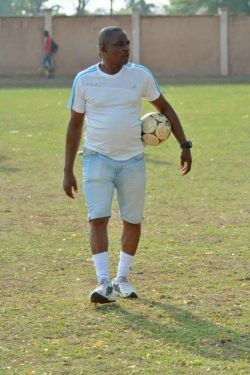 A club statement by the team’s image maker, Tunde Shamsudeen on Monday in Osogbo said the former Sunshine Stars and Kwara United gaffer will be assisted by Waheed Olapade as first assistant, and Rasheed Iyiola as second assistant. Olatunji Baruwa retained his position as the Goalkeeper trainer. Unuanel will succeed ex- international Duke Udi, who was brought back to the team mid last season.